It’s hard to think of any built infrastructure as simultaneously beneficial and damaging as roads. While roads have gifted so many benefits to society, they have also devastated our natural environment. With over 40 million miles connecting town to city to farm, we have laid enough pavement to circle the earth 1,600 times. Our societies have grown exponentially because of the ability to transport people and goods that an extensive road network provides, but, of course, this has come at the cost of our wild neighbours. An estimated one million vertebrates are killed each day on roads in just the U.S. Extrapolating that to the rest of the planet results in a dizzying number that leaves one feeling sick and disgusted to be a member of the human race. 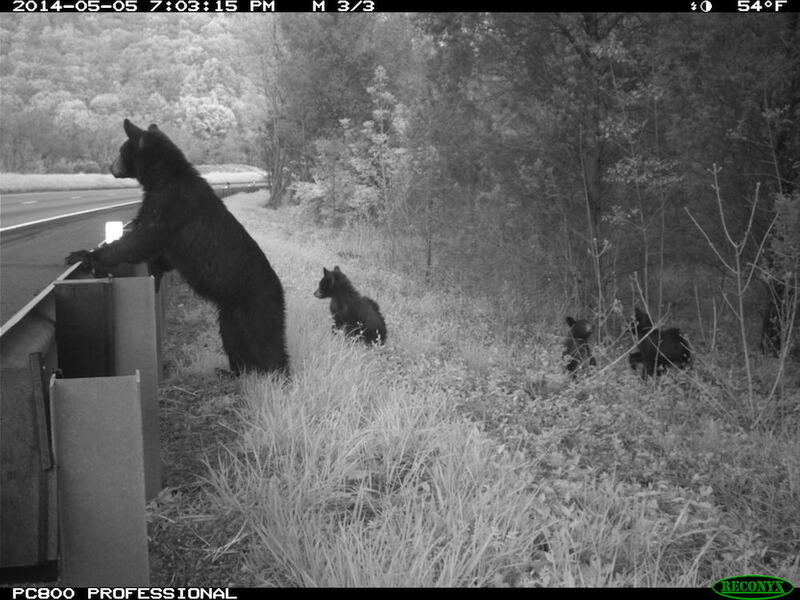 Footage from a camera trap project, Interstate 64, Virginia (Photo credit: Bridget Donaldson, Virginia Transportation Research Council). I remember one early summer evening not too long ago when I was leaving my parent’s home, the air thick with humidity. The tire of my car caught an Eastern American Toad in one full, crushing splat. My heart sank as the ecological guilt and grief crept in. My mother tried to console me by relating the time she struck a pigeon with her car. She was so traumatised by the experience that she had to pull over and cry. We all have similar stories, unfortunately, but too often we shrug and wonder rhetorically, what can be done? We go on with our lives, but the collisions continue. From Monarch butterflies to black bears, box turtles to moose, wildlife-vehicle collisions have become accepted as a thing we don’t like, but a thing we won’t change. Beyond the direct mortality that wildlife-vehicle collisions cause, we must also consider the loss, degradation, and fragmentation of habitat that undoubtedly contributes to the world’s current extinction crisis. Consider this figure again: there are 40 million miles of major roads across our planet. Think of the innumerable ecosystems and microhabitats that have been wiped out by this colossal development—or, think of the nests, food, and other resources that vanished for an animal whose home is now a major freeway. That loss of habitat is felt by every individual in the ecosystem. If they are lucky, they are large or mobile enough to move on to more suitable habitat nearby; if they are too small or not mobile enough, it may be the end of that population or species forever. 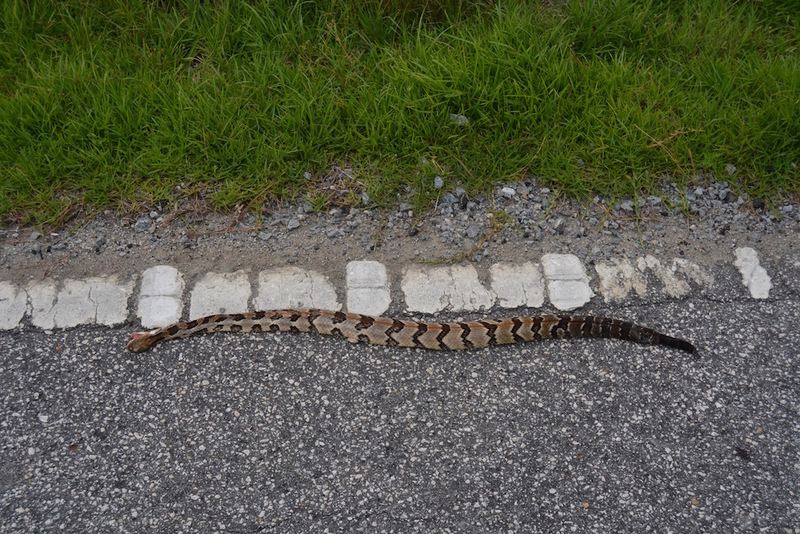 Even when an animal may end up on the “lucky” side of road development, their habitat is still inevitably altered and degraded, whether by runoff polluting nearby waterways, tailpipe emissions polluting the air, or trash, debris, heavy metals, and other chemicals that are flung to the road and then carried to the nearest habitat. Moreover, the noise and light pollution that accompanies roads is literally changing species behaviour. In a 2017 study by researchers at George Mason University, just outside of the Washington, D.C. metropolis, they found that the Eastern wood peewee, a common songbird, would actually get louder when traffic was heavy in order to communicate. Imagine sitting alongside a highway with a good friend and trying to have a meaningful conversation. After much yelling, I can only imagine the inevitable frustration and miscommunication. This would then be especially disruptive for songbirds and other species if your communication were tied to warning calls or mating rituals. Without effective communication, your very survival is at risk. But then what happens to the animal on the “unlucky” side of road development? Where the food, shelter, mates, or other resources necessary to their survival means crossing that big, busy road? For many species, large connected landscapes are critical to meeting all of their many survival needs. Animals don’t know or care for our political boundaries. More and more we are finding that habitat fragmentation puts these species’ survival at risk. 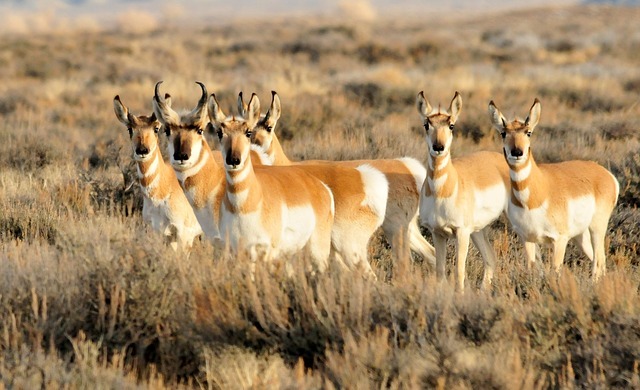 Consider the pronghorn, a bastion of the American West. Each winter, pronghorn make a gruelling 150-mile migration from Wyoming’s Upper Green River Basin to Grand Teton National Park. This migration is important to their survival; without it they would not be able to find feeding grounds to carry them through harsh winters. Unfortunately, though, roads and other barriers like fences and cities, block pronghorn from making this critical migration. Consequently, this species’ future remains uncertain. Like it or not, roads are part of our everyday lives. Whether we are going to school or work, picking up groceries, or heading out to find our favourite park, getting into a car and onto the roadway is mostly unavoidable. While the costs of transportation are clear, it’s hard to know what to do when roads are so inextricably linked to so many aspects of our lives. Just a shrug and rhetorical, what can be done? In reality, there is so much that can and should be done. This is where the emerging field of road ecology comes into play. 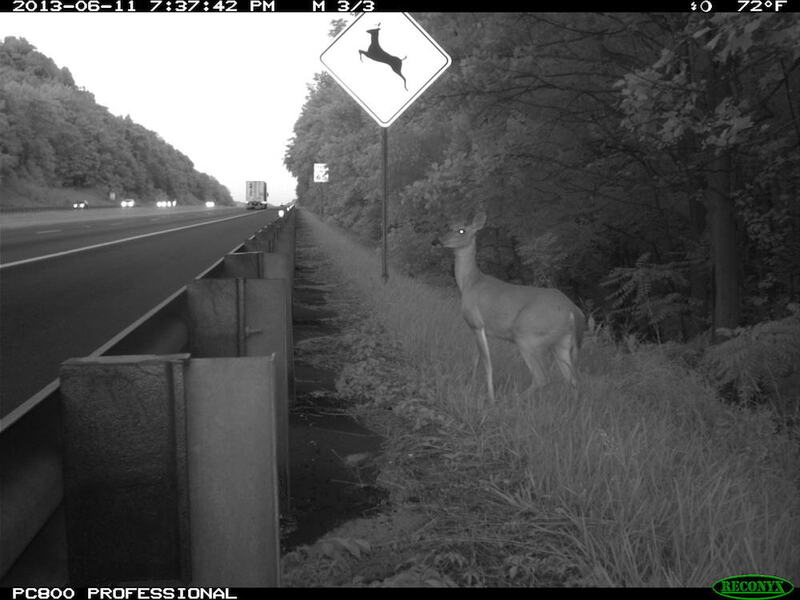 Road ecology seeks to understand and address the environmental impacts of transportation on wildlife. By conducting thorough research on how road networks impact wildlife, we can design effective mitigation on existing roads, such as implementing fencing to guide wildlife toward underpasses and overpasses, or incorporating wildlife-friendly strategies into new road plans. Road ecology is an essential approach to co-existence and one that is deeply rooted in the principles of conservation biology and landscape ecology. At Wildlands Network, we focus on mitigation strategies that not only make roads safer for life—both wild and human—but also help reconnect wildlands’ fragmented by extensive road systems. 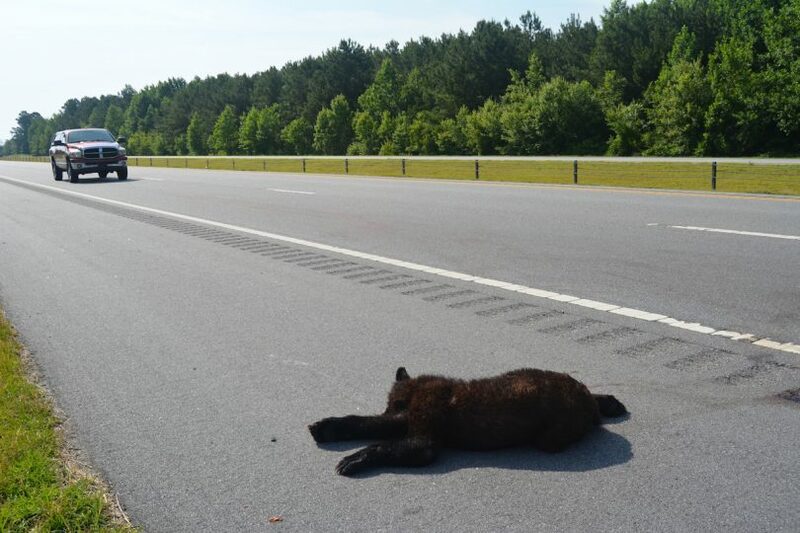 These mitigation strategies are proven to reduce wildlife-vehicle collisions, sometimes up to 80-90%, improve landscape connectivity, and save lives and money. Wildlands Network works collaboratively to identify research gaps, conduct analyses of state road networks, convene partners, and guide efforts to establish wildlife-friendly mitigation measures on road projects, new and old. For example, we’ve developed detailed reports identifying priority areas for mitigation measures in Arizona and North Carolina. By identifying road segments with the highest potential for wildlife-road conflict, we can target time and resources where they can be most effective. We have also been working hard on field projects in Sonora, Mexico and Durham, North Carolina. In Mexico, we identified culverts and bridges along Highway 2 that may play an important role for animal movement, such as the jaguar. Soon, in collaboration with local landowners and transportation authorities, we will deploy wildlife cameras to collect baseline data and to identify areas most in need of mitigation. In North Carolina, we are evaluating the success of a wildlife underpass designed for wildlife movement through an important riparian corridor. This data will help local transportation departments understand design elements of wildlife crossings that are most effective to replicate. In addition, we are kick-starting a new field project in Great Smoky Mountains National Park, where we will track where elk cross major roadways. Since 2001, when elk were reintroduced to North Carolina after being extirpated from the state, elk numbers have risen steadily, with an estimated 150-200 now roaming the national park and surrounding areas. Park officials estimate there are already 3-7 elk-vehicle collisions each year. As the population grows and disperses, it is likely these collisions will happen more frequently and across a broader area in the mountains. The damage inflicted by these collisions is often catastrophic. 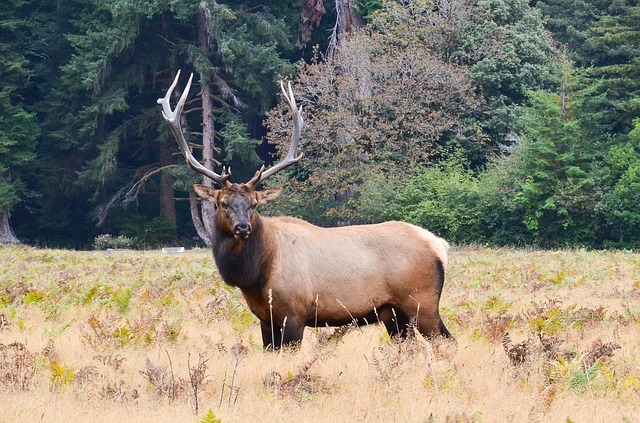 Our research will help identify where exactly the elk are crossing roads so that effective mitigation strategies can be implemented, thereby protecting drivers, elk, and a variety of other wildlife across the landscape. Finally, we provide information and expertise to partners working on the ground, like those along Utah’s Interstate 80. We also convene stakeholders to work together, like the newly formed Virginia Safe Wildlife Corridors Collaborative. These partnerships help bring the many voices concerned about roads and wildlife together to identify new, innovative ways of tackling these very complex problems. While roads present a dire crisis for our natural world, there are ways we can help. Whether that means stopping an unnecessary new road from being built, switching to public transportation or using our own two feet, raising money to build a wildlife crossing on a collision hotspot, or not throwing that apple core out the window (and attracting animals to the roadside), roads are not a completely intractable problem. They are a complex one, yes, but one that can be ameliorated with creative thinking. So the next time you’re out driving in the car, the open road smooth and clear ahead of you, take some time to notice that green forest flanking each side of you. Take the time to consider the consequences of what the construction of that road meant for your wild neighbours, for your sense of place, and for the kind of world the next generation will inherit because of it. Splat. Squish. Crack. Thump. Thwack. Bam. There is much to be done. About the Author: Maggie Ernest is the Eastern Wildway Coordinator and Landscape Conservationist for Wildlands Network. She develops the Eastern Wildway program through strategic research, planning, and collaboration-building and is passionate about landscape conservation, road ecology, and bringing diverse stakeholders together. Maggie is based out of the Wildlands Network Washington, DC office.